EDUopinions recently spoke to Carla Daniela Calderon Peñaranda, a full-time student of The Magellan MBA at Porto Business School. Carla is due to graduate in December of this year and originally hails from Bolivia. Why did you choose this university for your studies? I have chosen Porto Business School primarily due to its location and reputation. I knew that I wanted to move to Portugal and there were only two schools in Portugal listed in the Financial Times Ranking. 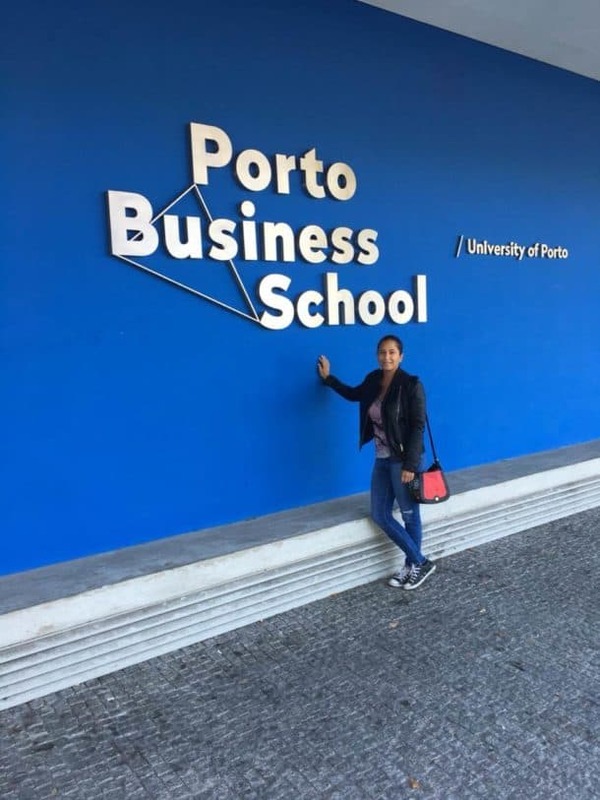 After doing some further research and understanding what each school provided, I decided to choose Porto Business School as it had both a great curriculum and reputation, was located in Porto, and showed to be a high value for investment. I was expecting high-quality courses within a learning environment, and my study experience so far has been meeting these expectations. Alike with any other programme, there is always room for improvement, nevertheless, on a global scale, I am truly enjoying it. My idea before starting the Magellan MBA was to finish this programme, look for a job, and reside permanently in Porto, Portugal. I am now halfway through the programme and my vision has even been reinforced, so much so that, more than ever, I wish to live in Porto and be able to find a job here. The programme has helped me expand my knowledge of Business Management and develop my personal skills in general. How is the study life in Porto? The city of Porto provides a very high level of supporting structures for the study life, and the cost of living is really low when compared to other European cities. Despite having made some previous research about Porto and learned that the city offered variety and quality on culture (e.g. Casa da Música and Serralves), nature (Parque da Cidade) and food (several good restaurants, some with Michelin stars), I was surprised when the actual experience surpassed my expectations. What tips would you give to the future students at your university? The campus is very well located and easily reached by metro. It is 5 minutes walking distance from Sete Bicas and 5 minutes walking from Norte Shopping. You might want to get the monthly pass, as the subway will be the easiest way to get you anywhere further than the school area, especially to the city centre (where most cool things happen). The campus itself is over 10,000 m2, with interactive technology, 21 classrooms and 48 workrooms. It also has an amphitheatre, auditorium and library with all the books required for your studies. It is always open 24/7 to all students. It has a restaurant and a cafeteria which both provide great quality food. The staff are always helpful and friendly. My experience in class has been exceptionally good. We are 36 students from all over the world and have bonded and gotten along very well. I recommend future students to come with an open mind and ready to work hard. Teamwork and respect are very important to succeed throughout this MBA. Professors come from all over the world who possess great experience and teaching skills. There are also extracurricular activities such as Moslon Competition, seminars, etc., therefore, I would recommend you organise yourself from the beginning.